Poetry is not merely a play of words but a serious spiritual exercise whose very being is pledged to the comprehension of the self and the universe. Good poetry is not possible in the absence of the flame of love because it is this light that tears apart the mist of obscurity surrounding the secrets of the universe. Shorn of the mist, the details become vibrant and the poet becomes aware of the enigma of reality. Tishnagi: The Thirst, Minu’s first book, garnered her unstinting praise from connoisseurs of Urdu poetry and hardened critics as well.Mauj-e-Saraab (Waves of Illusion), her second book of Urdu ghazals, is a manifestation of the various hues of the pageant of love and passion. It is the figurative expression of the tableaux of worldly spectacles that according to her is nothing but waves of illusion, while the reality is far beyond the purview of the physical eye. Mauj-e-Saraab includes transliterations in Urdu, Hindi and English with translation of the ghazals in English by Nyla Daud. Minu Bakshi’s poetry from Tishnagi to Mauj-e-Saraab is a saga of love. It is the expression of her journey, from the body to the soul. Hence, it displays the hues of material love and passion along with true lofty love. Thus, she should neither be taken merely as a painter of human relationships, nor simply as an illustrator of spiritualistic values. Instead she should be taken as a translator of both notions. Poet, singer, linguist and a professor of Spanish, Minu Bakshi is well known and respected in all her chosen fields. Her first book of Urdu poetry Tishnagi was published to unqualified praise by scholars, critics and doyens of Urdu poetry. 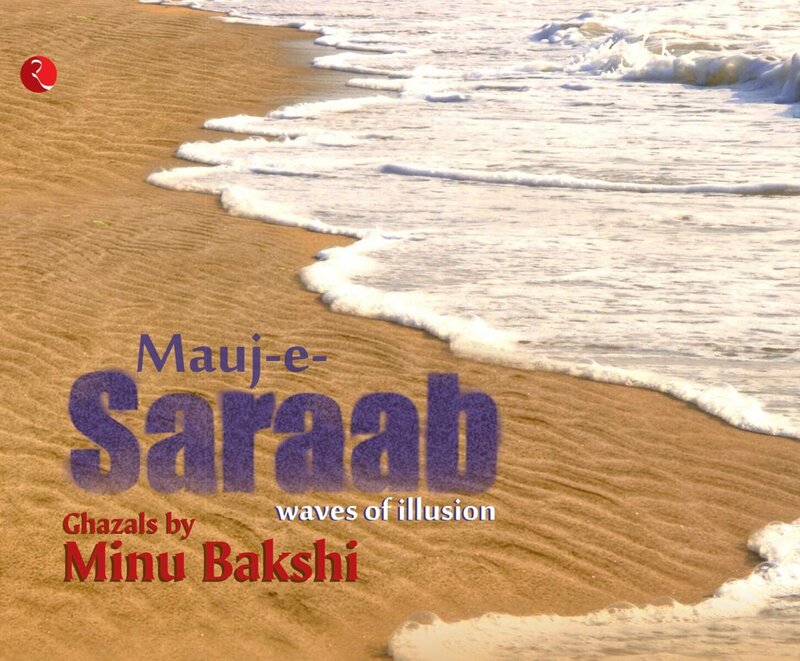 Mauj-e-Saraab is her second volume of ghazals in a planned trilogy. Minu Bakshi is also one of the founders of the well-known NGO ‘Savera’, which works to improve the lives of the underprivileged. She lives in Delhi with her husband and children. Urdu as a language has always fascinated me with its sheer beauty. In the last few years my love for it has just multiplied manifolds with me trying to read more of Urdu Literature (translated works) and also trying to learn the language. When I received this book for review my first reaction was "Wow", the cover not only is eye catching but the feel it has its beyond words. It felt as if the rawness of the sand had come alive on the hard bound cover which I tried to feel with my finger tips. It sent a shiver down my spine, as if the waves, the sand, sea-shore and the beauty of the lines within were inviting me. After a while, I surrendered myself to its raw beauty. Minu Bakshi comes across as someone who has observed life at close quarters. She has managed to capture such minute emotions in her words that you cannot help but exclaim in joy. I basked in the beauty of her writing. Subtle, heart warming, moving and at the same time ones that make you experience life in a newer fashion is how her work comes across. Ranging on various topics from friendship, love, longing, hurt, pain, separation, death, joy and such plethora of human emotions, her poems made me feel like a kite soaring high in the sky one moment and the next stuck in a broken branch of a tree, wriggling for life. That is the beauty of her writing, she can make emotions come alive. Written in Urdu, followed by Hindi and then English translation this book makes sure you don't miss the crux of the poems in trying to decipher its exact meaning. It is one book I will keep going back to, purely because of the emotions it managed to evoke in me. Recommended for all poetry lovers, this one is a gem you should have in your collection. 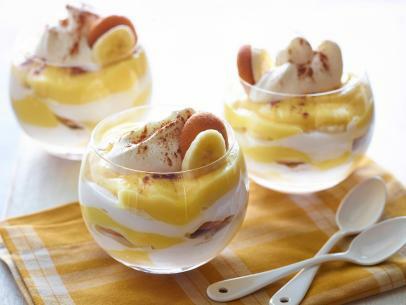 This book is like Banana Pudding - Mushy, yummy , melts in mouth and leaves you with a gooey feeling in the heart!